New Delhi: Struggling to find suitable candidates for senior-level positions at the six new AIIMS, the Union health ministry is mulling contracting retired doctors and faculty who have worked in the country’s premier medical institutes. The six new All India Institute of Medical Sciences (AIIMS) — Rishikesh, Jodhpur, Bhopal, Raipur, Patna and Bhubaneshwar — are yet to become fully functional due to the lack of doctors and faculty. “All the six new AIIMS have been finding it extremely difficult to start out-patient and in-patient department services in a number of speciality and super-speciality disciplines due to faculty crunch,” said a senior health ministry official. “We advertised twice. Last year, we advertised 1,300 posts for the AIIMS at Jodhpur, Bhopal, Patna, Raipur, Bhubaneswar and Rishikesh. Only 300 were selected out of which 200 joined. Most of them were found to be unsuitable for the positions,” the official said. Bhopal had 35 per cent, and Raipur just 24 per cent. 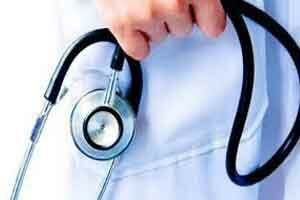 The AIIMS at Patna has been able to fill up only 17 per cent of its faculty positions.